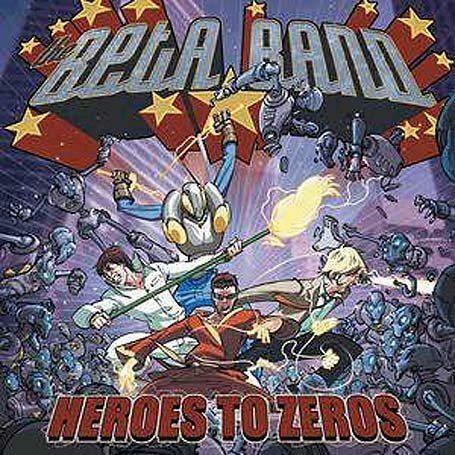 The sleeve to Heroes to Zeros, the third album from the Beta Band, depicts them as garishly clad cartoon superheroes, bursting from the frame to confront the forces of evil and deliver a mighty smackdown. Anyone familiar with the career of these Scots rock experimentalists, however, will be more than aware that the Betas have more than enough trouble tackling their own expansive muse, without throwing something comparatively trifling such as saving the world into the mix. That said, on Heroes to Zeros--the Beta Band's first fully self-produced effort--everything seems to be gelling nicely, despite the dizzying disparity of the parts involved. It's more guitar-heavy than previous efforts, and it's strangely exciting to hear frontman Steve Mason cutting loose on the axe here--everything from U2-style dynamics to mournful English folk fingerpicking seem well within his grasp.